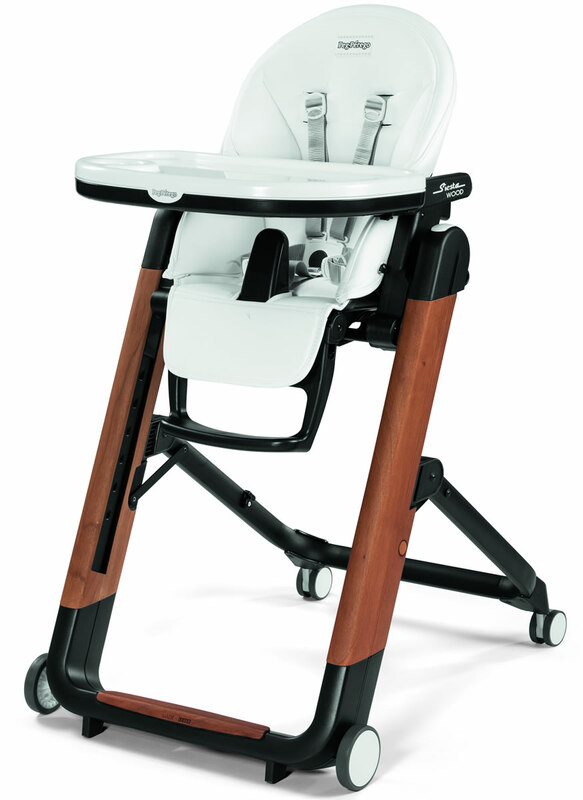 Siesta Wood is a high chair featuring an original design. 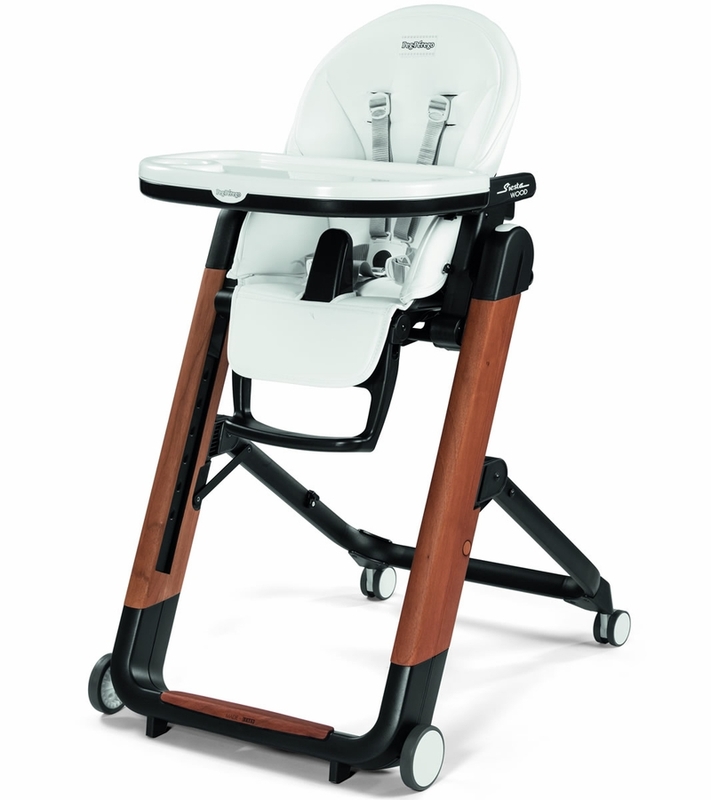 Wooden inserts make the high chair fit in elegantly with any domestic environment. Siesta Wood is versatile in style and in use, as it can be used from birth as a comfortable recliner. 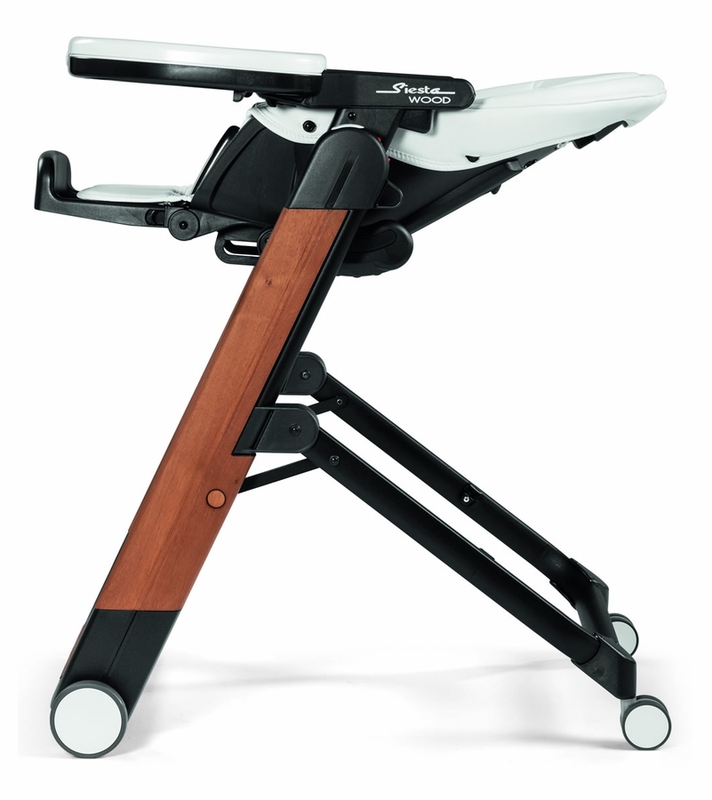 The Siesta Wood high chair, with a faux leather seat, is suitable from 0-36 months and can be used as a comfortable chair when your child is old enough to sit at table with adults. 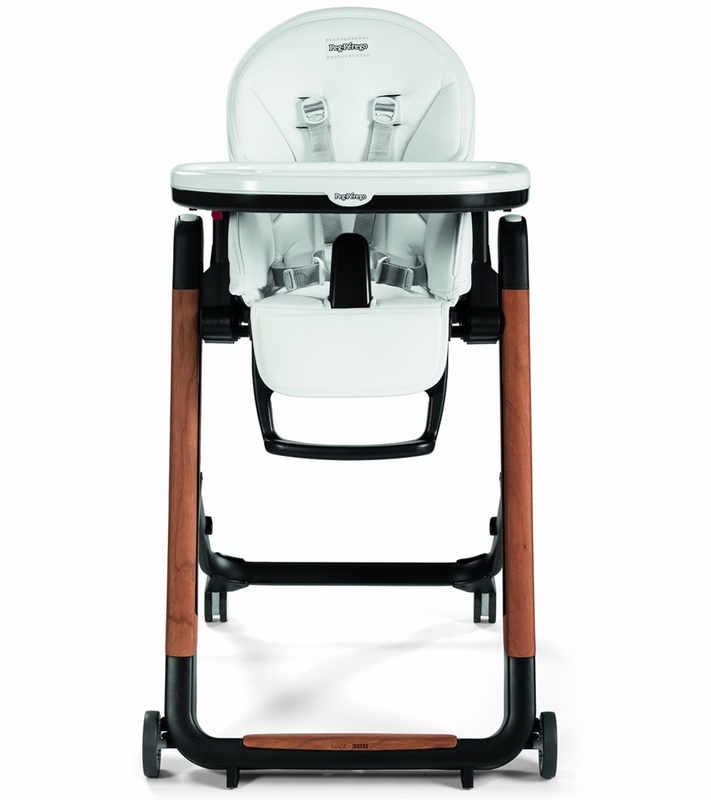 The advantage of Siesta Wood is that you have two products in one, so you have more room and the house is not cluttered by too many baby items. 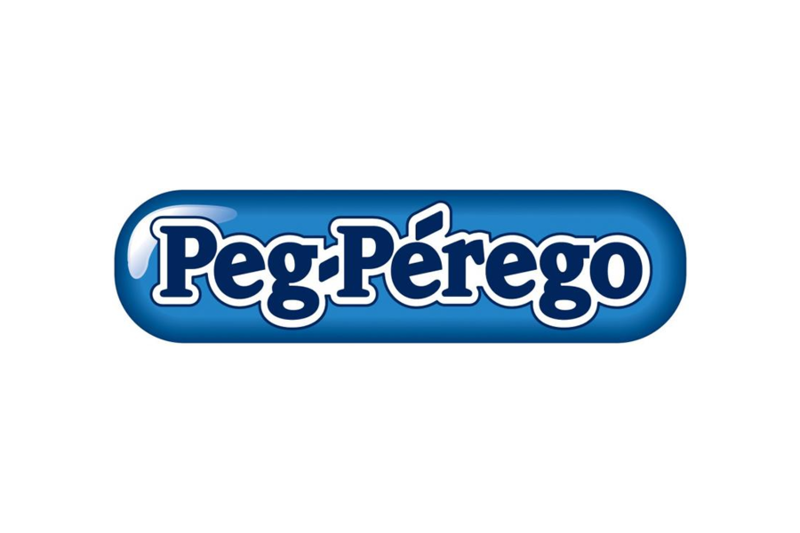 You can move the Siesta Wood high chair all around the house safely thanks to its non-scratch wheels and the innovative, Peg Perego-patented Stop&Go braking system that can only be operated by an adult. Two "sibling safe" manual controls unblock the wheels, so the high chair can be moved with ease; when the controls are released, the high chair is blocked once more. 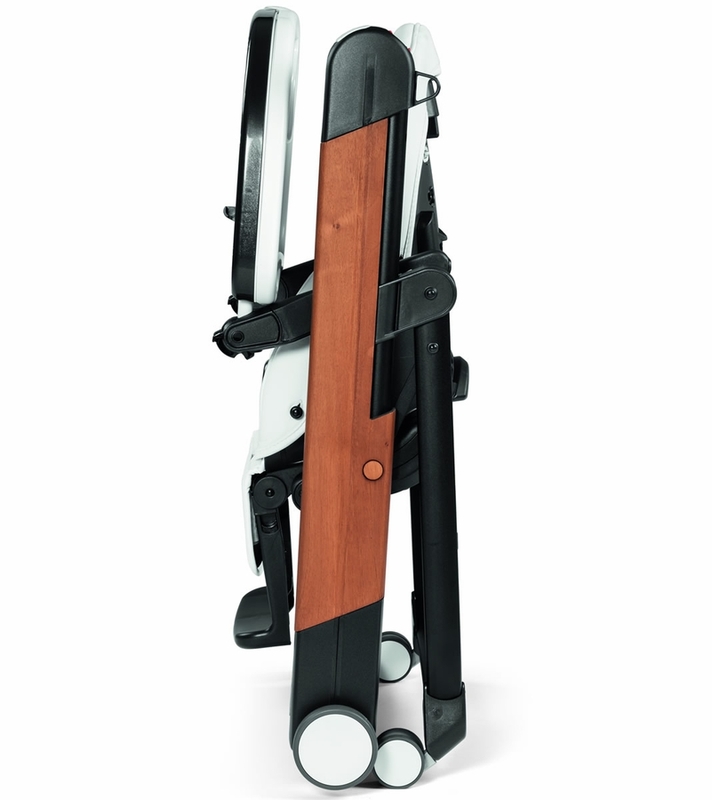 When folded, Siesta Wood is super compact, free standing, easy to store and handy to carry around. Being at table with Mum and Dad is great fun with Siesta Wood. Its height can be adjusted to 9 positions and its double tray can be removed, so that Siesta Wood can be used as a comfortable chair at table when your child is older. Meal times become playtime thanks to the practical net storage basket on the backrest, so favorite toys are always at hand. 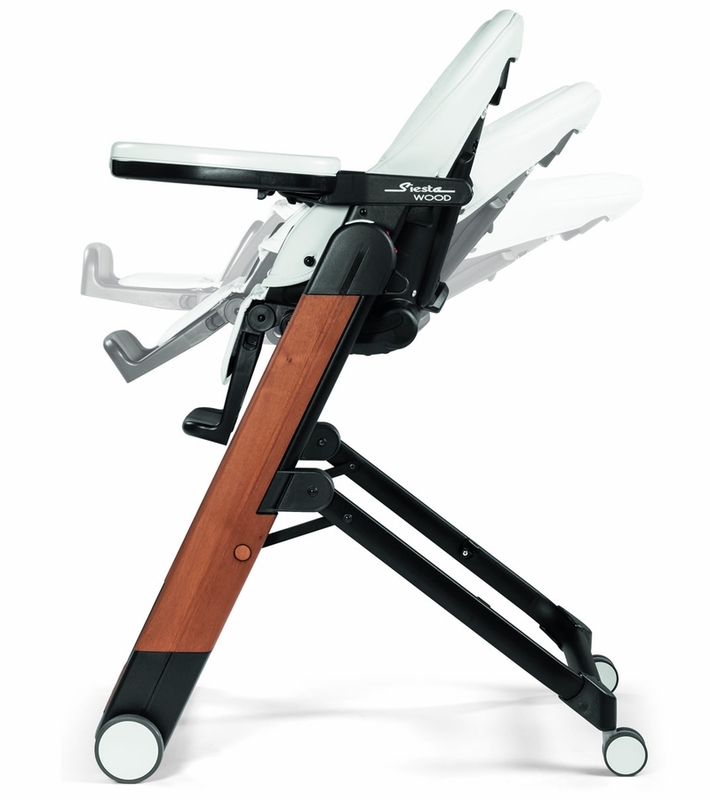 Siesta Wood has the Peg Perego Comfort Recline System that transforms the high chair into a recliner suitable for use from birth. 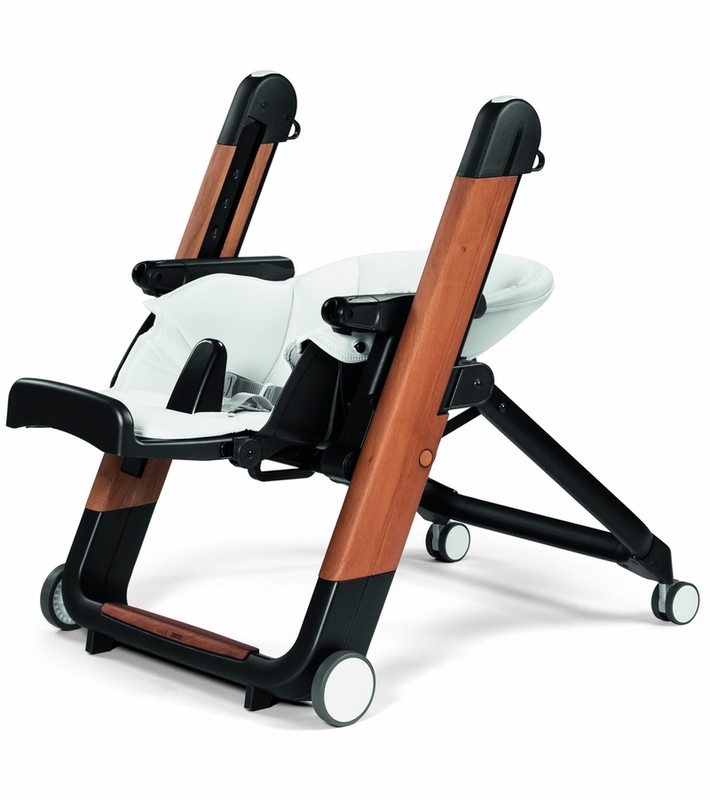 When the backrest is tilted by over 150?, the seat moves forwards at the same time, turning the high chair into a welcoming recliner for relaxing naps. Safety is guaranteed by the 5-point safety harness (that grows with your child) and the crotch strap. 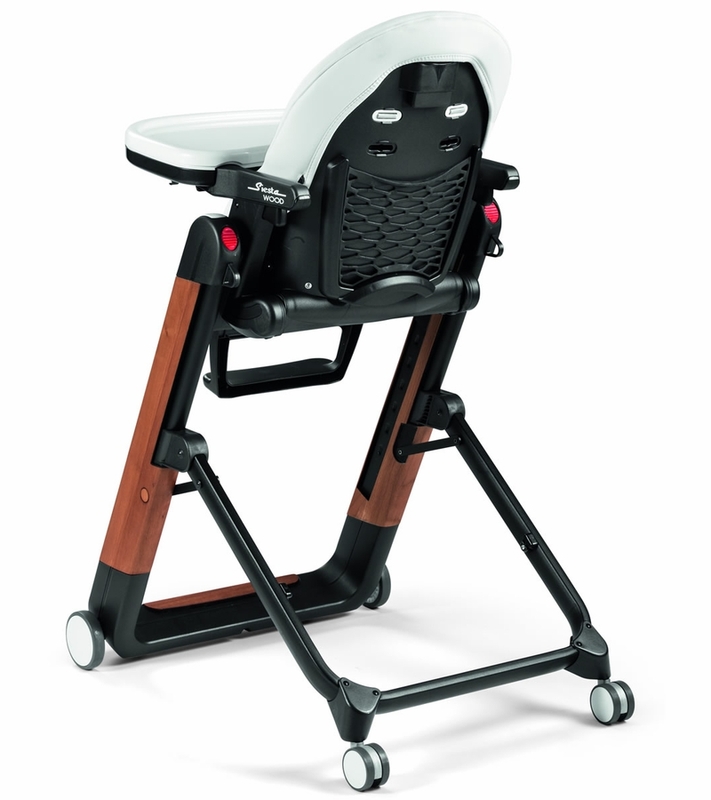 Easy to use, the Siesta Wood high chair has a soft comfortable seat that can be wiped clean with a damp cloth. Height can be adjusted in 9 positions; as you child grows, he can eat at the table just like an adult by taking away the removable tray. Backrest reclining to five positions (over 150?). Footrest adjustable to 3 positions. The anatomic crotch strap provides great safety even when your child is very small. The faux leather upholstery can be wiped clean with a damp cloth. Double removable tray with a cup holder/bottle holder that is dishwasher safe - for keeping extra clean. The tray can be adjusted into 2 positions to make room for your child as he grows.When it is not being used, it can be attached to the leg of the high chair to save space. When folded, it is compact and free standing, so that it takes up very little room and is easy to store.